This draft has been sitting for more than 2 years now. Basically a lot has happened within few years back, from my failed attempt to get a seat on a first-class university in US, to my decision on moving out from consulting business to more engineer work. But let’s just cut the story short. Recently I have a conversation with some friends regarding what makes us moving out of our employer to another. I got some friends who are taking a leap too and we share our experiences and reasons why we take this way. Perhaps this post can give you some insight on how to reason yourself to pursue your career on another place, and also for any HR representatives out there to know reason why people come and go. Believe me, it’s not all about the cash. I continue my master degree in my university. It was a hard choice to pick whether I was going with the start-up or a major firm because I know that start-up has a potential growth as we were backed by people with a wide network. I was offered to be in a founder position with a share portion among with other several campus friends. That offer is a promising offer, especially for a fresh graduate like us having our own business with a good prospect, but in the end, I and several friends turned down that offer. My reason on turning down that offer was because I wanted to go for a major firm first, where I can expand my network more, learn from what big enterprises do, and gain experience there. I want to do more than just a code, and at that time, I believe gaining experience other than in software industry can improve my knowledge. I was on an early-bird seat for a position at Accenture, where I joined a campus-hunting event called Accenture Experience, so I was confident that I will get my seat there. While my other friend decided to pursue for another path outside of computer science: he joined an MT position for HR in a consumer goods industry. He found that although he is good at programming, he has a deep passion in people management. And from what I heard now, after 5 years, he has become an HR manager in regional office. A very fast blazing career. Such decision actually reflected that pursuing a career is not always have to be in the safest place. For me at that time, becoming a founder of a software industry start-up with people with wide networks is much safer than joining a consulting firm where I didn’t even know what I would do there. Yet, I took that path and began my journey to shape my career there. My first project in consulting firm was about IT Service Management (ITSM). It was not my cup of tea, although I completed the project quite well. I learnt how to engage with people, communicate with clients, develop an idea to support client’s operation, and so on. That project completed in 6 months and after that I have to move to another project. I talked with my manager that I would prefer not to be moved to project related with SAP. I don’t like it and I preferred not to touch it. At that right moment, another manager is actually require person who understand Microsoft technology and has software engineering skills to become the business analyst on his project. I was offered to move to that project. That project became my comfort zone in Accenture. The people were good, the leaders were very good and nurturing, and the most important thing was I loved what I did. It was a project management system development using Microsoft technology, where I designed the concept of the system and implemented it. I can consider that that system was one of my big contribution during my tenure at Accenture. For more than two years I was working in that project, where I developed and improved the system. One of the leaders on the project really encouraged me to develop myself. He brought me to business development presentation even to Thailand. It is a very rare opportunity for an analyst level to be able to work and go directly with the leader for business development presentation. I was also given charge on several small projects which was important for the business continuity. My journey there was not as smooth as maybe people thought. A lot of disagreement between me and my leaderships, and also between me and my peers. And eventually, I felt like I was getting bored with my job. 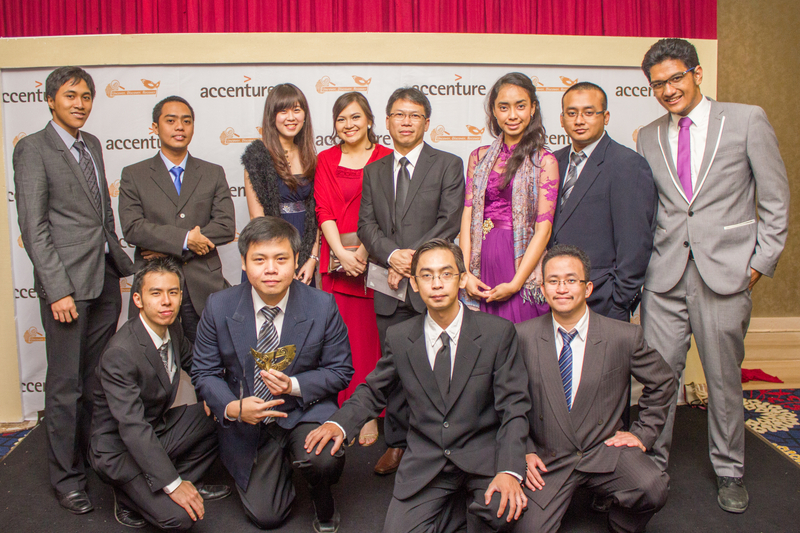 I began losing interest of what I was doing at Accenture on my 4th year. It was 2014 and at that time one of my closest friends at Accenture, Bayu, went to UK for taking his master degree. The so-called ripple effect of people taking master degree overseas also struct in my head. It occupied my mind and realized that I had prepared nothing so far for continuing my education. So, I began rushing preparing myself to get a seat in a graduate study. My perspective at that time was getting to a reputable US university in a computer science field. I realized that I preferred pure computer science study instead of more MBA-like program because in my inner self, I still wanted to become a computer scientist, and have a career related to the technical aspects of computer. I didn’t want to waste my potential that I have been building since I was young by pursuing study other than computer science field. I spent first half of my 4th year at Accenture (end of 2014) by taking IELTS prep class, studying GRE, and preparing all necessary documents for admissions. I applied to several US institutions, 6 universities to be exact, and also applied for LPDP scholarship to fund my study. At that time, I also realized that I faced a doom trouble with my career journey so far. I didn’t know what I am going to focus for my master’s degree. Accenture did not shape me towards that path. All I learned from Accenture was to apply my logical mindset to solve business problems, not a fundamental computer science problems. This was actually shown with how shallow my Statement of Purpose I wrote for my university admission. It felt like my journey was disconnected from computer science path right after I graduated from university. It is reflected with how I wrote a very long story about my thesis work which at that time was already 3 years old. And I faced that dead end. I got rejections from all 6 universities I applied. I was also rejected by LPDP. I got nothing. It was at the end of March, and all those rejections came to my e-mail. I was a bit devastated to face this truth, and basically I didn’t know what to do next. So I made a conclusion that my career path at Accenture will not lead me to what I envisioned myself. I want to be an expert in computer technology, but my track was toward an expert in business consulting. It was not possible to continue the journey on that track, so I needed a change. It is not that Accenture did not give me anything. Accenture really taught me a lot of things. I developed my organizational skills, my professional attitude, analytical and critical thinking, applying my knowledge in technology in business context, and how to be a high performer. They paid quite well at that time too, before those ice-breaking start ups entered the job market. And I was also exposed to many opportunities in the organization itself. But for me, Accenture might not be able to lay down a path towards a true computer scientist. I wanted to work with more technical stuff, do a lot more tinkering with the technology itself, rather that utilizing what’s already available on the market and apply it in certain business use cases. Although Accenture also do problem solving stuff, that is not the kind of problem solving things that I wanted to do in the later stages of my career. I resigned Accenture because I needed a different career path towards my goal. I believed that Accenture couldn’t be aligned with my vision and what I would like to be in the future. It was not because I wanted a better cash or if Accenture treated me badly. In fact, I had a great time at Accenture and several times I met my previous bosses, they kept asking me if I want to return. It is alright if you decide to split with your employer because you envision yourself a different way than what your employer can provide. And it is certainly not a fault of the employer, neither yours. Your employer also does not have a right to control your aspiration, or even forbid you to pursue what you want to do. It is just natural that people look for something else that is more suitable with their aspiration. Employee and employer need to have “click” on their vision so both of them can move forward. If it is not, then a bigger problem can arise from within. I told my boss that I wanted to resign right after I signed my contract with my new employer. He seemed very cool about it. I think that he already expected that and was just waiting countdown before I finally told him that I was resigning. He asked me the reason, and I told him my passion and my ultimate goal that I believe that I couldn’t get from Accenture. I also said that he might already know since the time I asked him for recommendation letters for my master’s degree. My old team mates, some of them. For me, they are still the BEST team ever!